Home Entertainment Davido Set To Become A Global SuperStar – See How!! 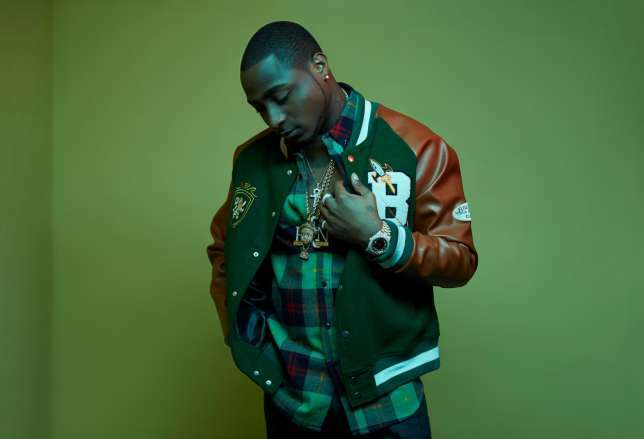 Davido Set To Become A Global SuperStar – See How!! This will be his harvest. After many months of toiling, with the world waiting for a new Davido from Sony Music, we finally have one. When Davido bounced around New York in January, bought new jewelry for members of his team, and recorded short videos which chronicled the Nigerian superstar’s journey to Sony Music Entertainment’s offices, few would have predicted what was in store. We knew the basics and we celebrated him for them; Access to funding, a chance to go global, improved recording systems, higher chances of collaborations, videos shot with the cream US stars, and an affiliation with a recording and distribution powerhouse with endless influence, pockets the size of blackholes, and opportunities to amplify any musician in the world. But we failed to see the short term implications of the mega deal; the lack of new music, the insistence of RCA henchman, Efe Ogbeni, to remake the Davido that we know and appreciate, leading to a frustrating no-release phase. Davido has not dropped a personal song all year. Endless of hours of recording began, the singer kept his brand alive, created a new record label where he has launched Dremo and Mayorkun. But he had no music. His new deal required a subjective level of melody and technique in his personal singles before they can be made available. And also, the grand scheme involved the creation of a new Davido; a global superstar from Nigeria, with the talent, backing, and branding to make the world his oyster. Gone was the kid working his way through beats with Jfem. In came the guy who has recorded with long list of new age US stars, including Young Thug, Future, Rae Sremmund, Tinashe, and many others. Recently, he was in Jamaica, shooting with Popcaan for another Afro-Caribbean collaboration to cross continents and pop on a wider scale. This was the new Davido. Our new Davido. Sony Music’s new Davido. Created and marketed in the image of a global power player. But did we consider the toll this would have on the rambunctious superstar? The guy whose every moment reads like a blockbuster movie script, written, acted and displayed via social media channels. How restrictive would it have felt for him to watch everyone around him drop singles, go pop and grab the headlines, for themselves because of their music? Davido did grab the headlines this year though. His personal problems, baby mama drama, and a cross-generational clash with Dele Momodu, made him a hit in the news. Performances across various parts of the globe also did help his celebrity, and his pocket. But all of this pales if it has no musical backing. New content would have made his heart more content. But we saw the work he was putting in, and the moves that his team were making to make the whole dream come together. Recording with Tinashe, shooting the video in Malibu, appearing on Apple Music’s Beat 1, and flying all over the world to score new collaborations. But finally, September is at hand. All of his work is about to come out in the open. All the sweat, hustle, and nights of full of hugging the mic will birth forth a double EP tiled “Son of Mercy”. This will be his harvest. After many months of toiling, with the world waiting for a new Davido from Sony Music, we finally have one. This Davido has had all his tracked vetted and approved, the standard checks passed, and a plan in place for the rollout. Davido will reap his due in September. Let’s hope we like what he offers.